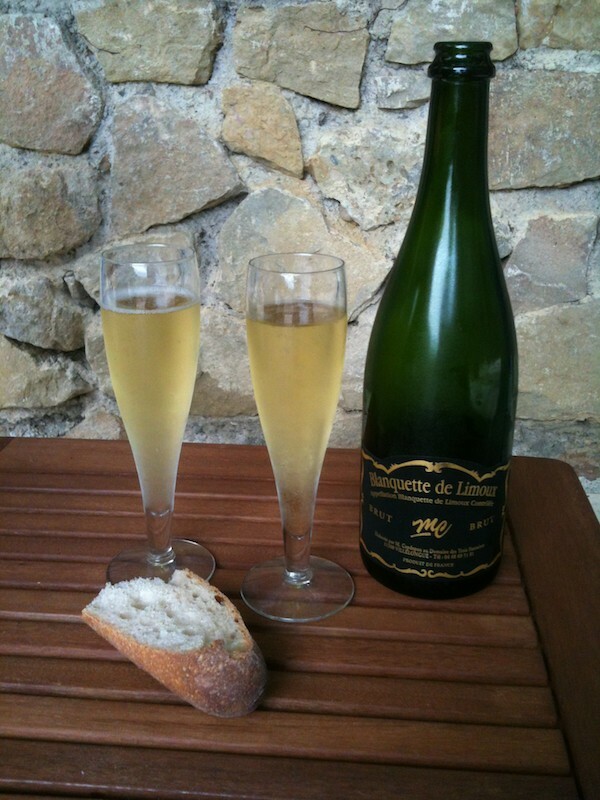 In the midst of pre-supper aperitifs, she turns and pours half of a glass of blanquette of Limoux into a tumbler on the table. “We must keep some for the gravy,” she whispers conspiratorially, in response to his raised eyebrows. An hour later, when he is preparing the evening’s salad, she notices that he is trying to peel the carrots with the non-blade side of the veggie-peeler. Chicken marinated in balsamic vinegar with fresh herbs, served with a Dijon and blanquette sauce, herbed rice and a green salad of (at last!) carrot curls and tomatoes. So Day 2 in Paradise wound down.